This page features some clippings of articles from newspapers, magazines and press kits that featured the artist in the past years. 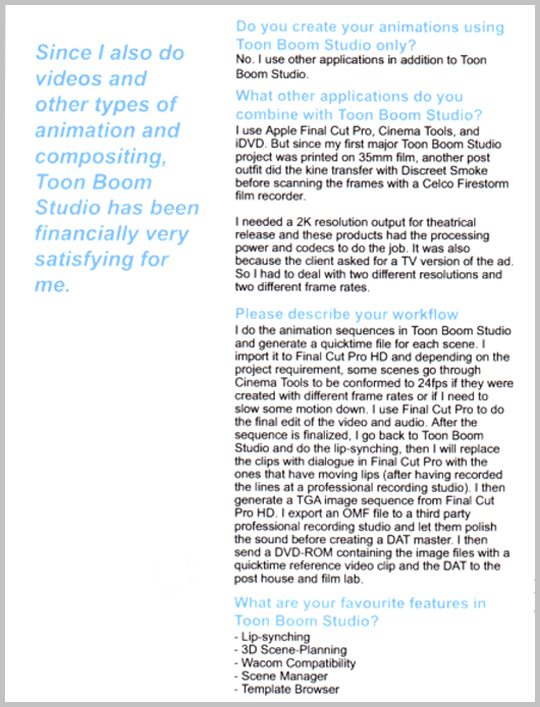 Clipping from the Toon Boom Technologies 2006 Press Kit showing an excerpt from an interview with Ionone about his work in film and TV commercial animation. It's actually a producer's testimonial for their software products. A page from the industry-wide animation newsletter, Toon Boom News-April 2006, published in Montreal, Canada. 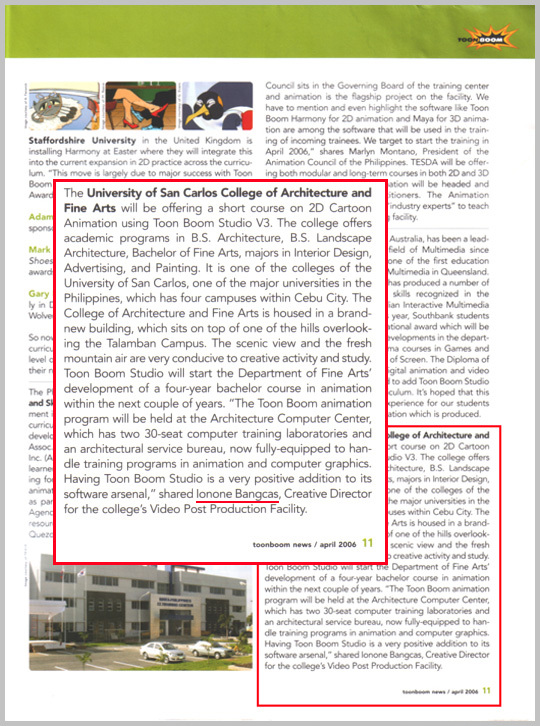 It shows an article about the University of San Carlos' new 2D animation program led by Ionone Bangcas. 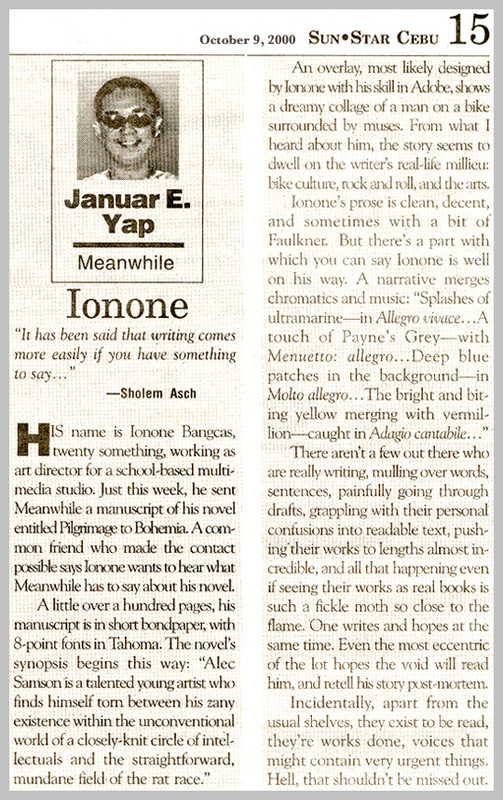 Press clipping dated a few years ago from the column Meanwhile by Januar Yap of Sunstar Daily-Cebu.